Anonymous / A.I.Po - Agenzia Interregionale per il fiume Po 1951. 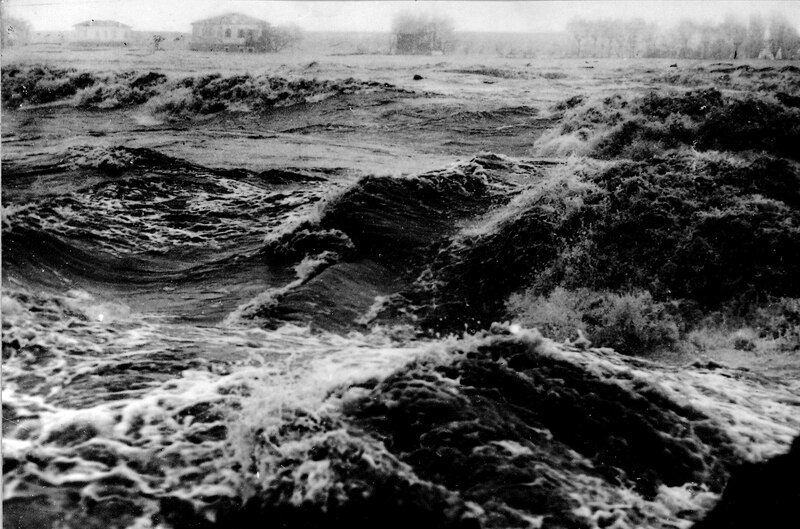 One of the biggest natural disasters in Italy triggered by climatic conditions was the Polesine flood of November 1951. Following a rainy season the river Po had progressively risen. The breaking of levees at various points along its course had not been sufficient to reduce the water flow significantly. Moreover, the distance between the dykes at the river’s mouth became too narrow, causing the water flow to further increase. 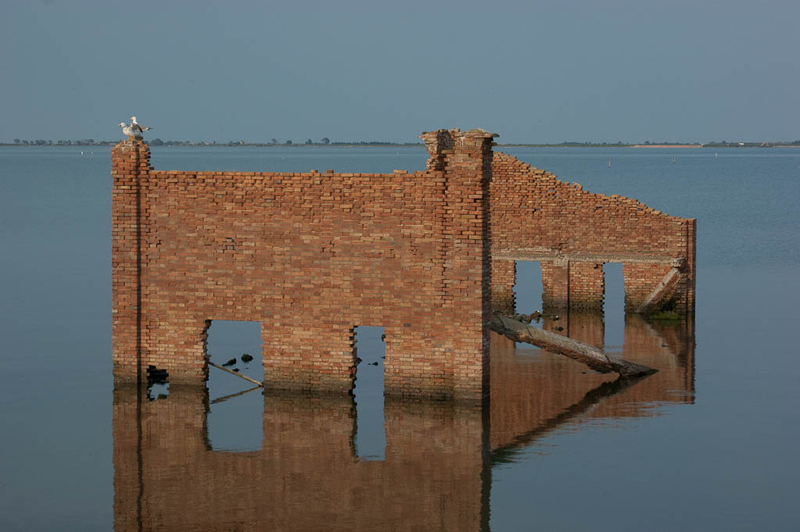 At its zenith, the flood reached the Polesine, near the river’s delta, and submerged hundreds of hectares of agricultural land lying below sea level, killing 84 people and leaving 180,000 homeless. The reasons for the flood were more complex than the simplistic and fatalistic, meteorological ones given directly after the event. Coherent policy aimed at organizing flood defenses for the whole Po river basin was lacking. Huge investments would have been needed to improve conditions along the Po’s right tributaries, which had become dangerous due to the neglect of the river basins and high level of erosion caused by consistent deforestation. Moreover, levees had been poorly maintained and the river’s gradient reduced by continuous deposits of detritus in the delta, leading to a heightened risk of storm surges. Experts had issued clear statements on all these risks long before the Polesine flood, but the Italian state reacted late and ineffectively. However, the communist opposition’s attempts to claim for human liability were labeled subversive and inhuman. The state turned down applications for damages linked to natural disasters and initiated an anti-communist witch-hunt rather than taking action to improve soil conservation. Hardenberg, Wilko Graf von. 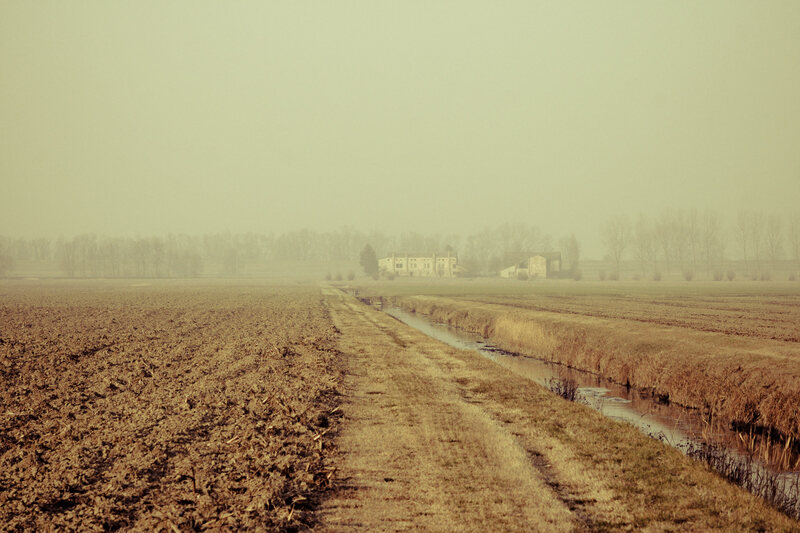 “The Great Fear: The Polesine Flood of 1951.” Environment & Society Portal, Arcadia (2013), no. 3. Rachel Carson Center for Environment and Society. https://doi.org/10.5282/rcc/5055. Bondesan, M., G. B. Castiglioni, C. Elmis, G. Gabbianellis, R. Marocco, P. A. Pirazzoli, and A. Tomasin. “Coastal Areas at Risk from Storm Surges and Sea-Level Rise in Northeastern Italy.” Journal of Coastal Research 11, no. 4 (October 1, 1995): 1354-1379. Botta, Giorgio. Difesa del suolo e volontà politica: inondazioni fluviali e frane in Italia (1946-1976) . Milano: F. Angeli, 1977. Cibotto, Gian Antonio. Cronache dell’alluvione. Milano: Bompiani, 1991. Lugaresi, Luigi, ed. 1951 la rotta, il Po, il Polesine. Rovigo: Minelliana, 2001.